Situated in the South East of England, Kent has many historical connections with artists, writers, and creatives, including JMW Turner and Geoffrey Chaucer. Having provided a source of inspiration for all manner of people in the past, Kent’s creative culture is still very much alive today. Whether you want to learn more about Kent’s history, or you are looking for something original or thought provoking to do, there are plenty of things to do in Kent. 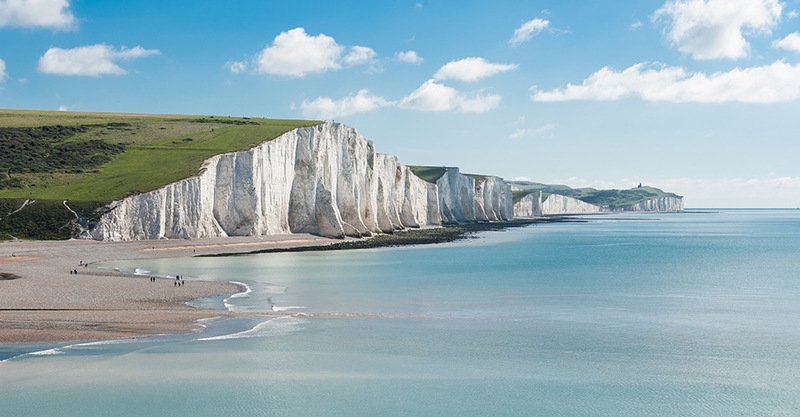 Synonymous with Dover, the white cliffs lining Kent’s coast are a spectacular photo opportunity, and a great place to visit on a sunny day. Made from chalk, a soft limestone, the cliffs are quite striking. On a clear day, they can even be viewed from France’s coast across the water. Resembling arctic glaciers, they are crowned with flat tops and a light dusting of powdery grass. The cliffs were formed over millions of years from a very gradual build up of coccoliths; the skeletal remains of microscopic algae. Over time, this sediment built up over sea level, forming the iconic White Cliffs of Dover. To make the most of a visit to the White Cliffs, head to the Gateway to the White Cliffs visitor centre on Langdon Cliffs. Here you can learn more about the landscape, buy a souvenir, or have a rest at the café. Dover Castle has been described as the ‘Key to England’ because of its location, guarding over a strategically important entrance to England. 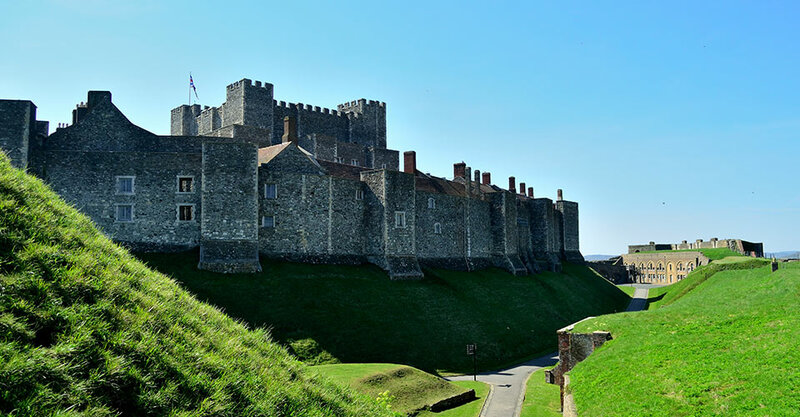 Dover Castle played a vital role during the Second World War, providing a safe place to develop strategies. If you visit the castle, it is definitely worth taking a tour of the secret wartime tunnels. Hidden beneath the castle, this is the location where Operation Dynamo (the evacuation of Dunkirk) was masterminded. Throughout the year, there are regular dates when actors will be at the castle, helping to bring historical scenes to life and recreate an authentic experience for visitors. Canterbury Cathedral is an impressive feat of medieval English Gothic architecture. Built by the Normans from stone imported from France, you can truly appreciate the scale and intricacy of its design once you walk through the doors. Adorned with stone carvings, stained glass, and iconography, anyone who is interested in architecture, art, or history will be captivated. 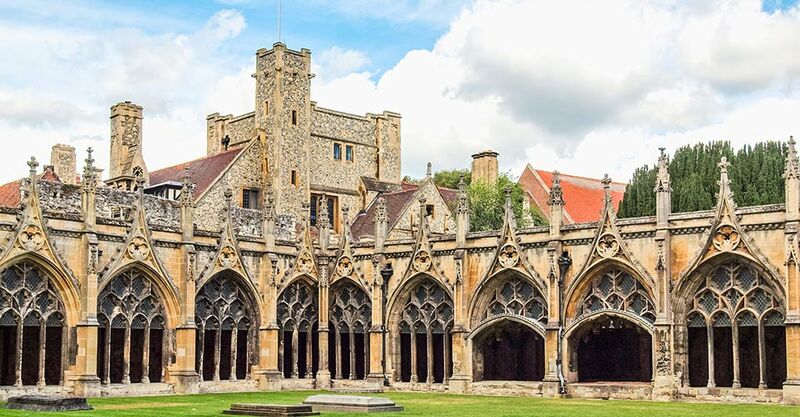 Attend a guided tour or mini talk to learn more about the Cathedral’s bloody, but fascinating history, or listen to an audio tour to guide you through the Great Cloister and Chapter House. It is worth checking the Cathedral’s opening times before visiting as it closes periodically for services and special events. Kent has a wealth of art galleries to explore. Consisting of an art gallery, a visitor centre, and a library, The Beaney House of Art & Knowledge was commissioned by Dr James George Beaney. Coming from a modest background in Canterbury, he studied Medicine before moving to Australia. When he died in 1891, he left funding in his will to build an ‘institute for working men’, to benefit men from poorer backgrounds like his own. This eventually became The Beaney House of Art & Knowledge. The building houses several permanent collections such as the People & Places exhibition, which features artists from the Canterbury area. The Colour & Camouflage collection features butterflies, birds, rocks, and other items from nature, and explores the function of colour in nature to attract, warn, and conceal. Each piece is carefully placed so that the collection is arranged in a very visually satisfying rainbow colour order. As well as the permanent collections, there are also areas which feature temporary exhibitions, so there is always something new to see. The Tunbridge Wells Museum & Art Gallery has several permanent collections of art and objects which help to tell the story of Tunbridge Wells and its people. Highlights include the Costume and Textiles collection, which spans all the way back to the 1700s, and the Childhood collection, featuring dolls, toys, and games throughout history. It also has programme of temporary exhibitions which change regularly. Entry to the gallery is free, with the option of making a donation if you wish to do so. 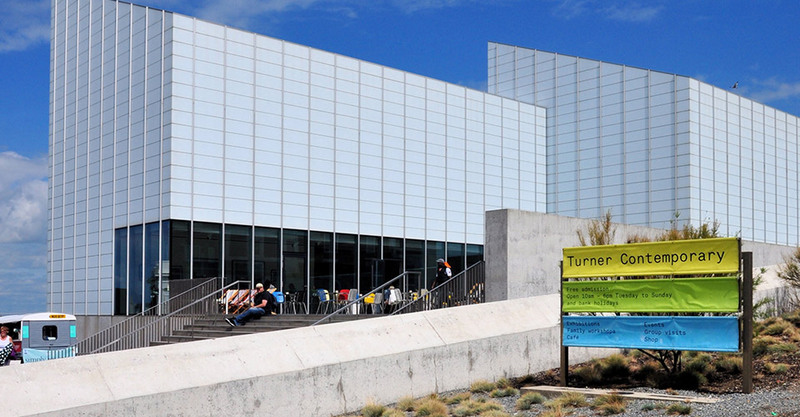 The Turner Contemporary art gallery sits on Kent’s East coast, on the seafront at Margate. Founded to explore and celebrate the connection between artist JMW Turner and the area of Margate, the gallery offers a rolling programme of exhibitions covering a range of subject matter. If you are looking for something unique to do in Kent, there are a few hidden gems for you to uncover. Something of a mystery, the Shell Grotto is hidden in 70 feet of underground passageways in Margate. The walls are mosaiced with 4.6 million shells, which have been carefully arranged into patterns and pictures. Whilst its original purpose is still debated, it is mesmerising to look at. If you are in the mood to do something different, the Groombridge Place estate should be number one on your list. Located in Tunbridge Wells, the estate is filled with extraordinary things to see and do, so if you only have time to visit one place, this should be it. Centred around the private residence of a moated manor house, there are over 200 acres of land, littered with surprising places to explore. Begin your visit with a walk through the formal gardens. Designed to function as ‘outside rooms’, there are six different gardens, each with its own theme and character. 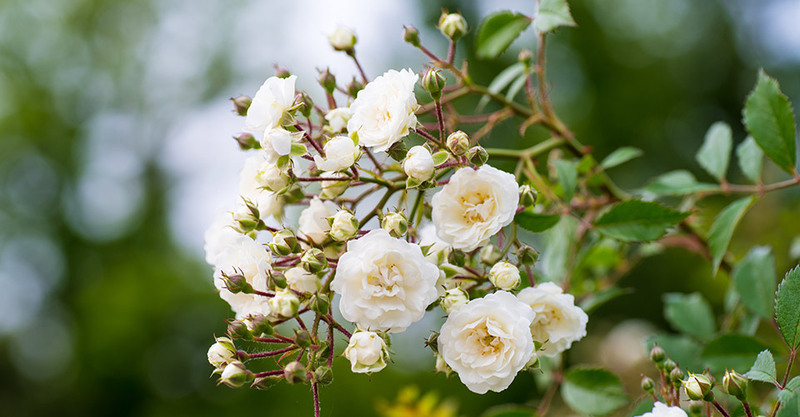 The White Rose Garden- Commemorating the Waller family, owners of the estate for 200 years, the White Rose Garden includes over 20 different varieties of white rose, providing a sea of shades of white. The Oriental Garden- Japanese Maple trees fill the Oriental Garden with colour in the autumn, and the water fountain provides a soothing and refreshing soundtrack during the summer months. The Drunken Garden- Topiary bent and grown into unusual shapes provide an explanation for the name of the Drunken Garden. Abstract and surreal, this garden has an uneasy character that art fans will love. The Draughtsman’s Lawn- Lit up in the summer by ornamental trees and shrubs, the focal point of the Draughtsman’s Lawn is a white mulberry tree, which was planted to mark Groombridge’s connection with the smuggling trade. The Knot Garden- Deliberate and precise, the Knot Garden is decorated with immaculate topiary, forming geometric patterns and knot designs low to the ground. Opposite is a Giant Chessboard, that visitors are free to use. You may notice a thick wooden door by the edge of the moat. Through this door, you will find yourself in one what may well turn out to be your favourite area; the Secret Garden. The Secret Garden- Twisted branches reaching overhead bring a feeling of privacy to the Secret Garden. And with fresh green leaves and bountiful plants scattered in a seemingly random way, there is something very spontaneous, wild, and natural about this garden that feels very comfortable. Beautiful dense woodland is broken up with surprising discoveries. Go for a walk and you might find the Treetops Walkway; the highest and longest treetop walkway in Britain. Other areas you may stumble across include a maze, a collection of prairie tepees, giant swings or a Romany camp. And keep an eye out for deer and peacocks. The Enchanted Forest also hosts Rave days, where the forest floor becomes a dance floor with the help of generously sprinkled twinkling confetti. A unique event for the whole family; glitter and face paints are very much encouraged. Whatever your reason for visiting, there’s plenty of fantastic things to do in Kent.